Every time a trial comes my way, I’m completely shocked by it. Car problems, large unexpected bills, family issues, health issues, pain, unanticipated stress, parenting strains, sleep deprivation, whatever - they ALWAYS catch me offguard and I end up asking pointless questions like “Why is this happening to me? Why is this happening now? Where did this come from? !” Well, you’ve been warned by the Apostle Peter now - “Do not be surprised” when trials come your way. Why do Christians experience suffering? 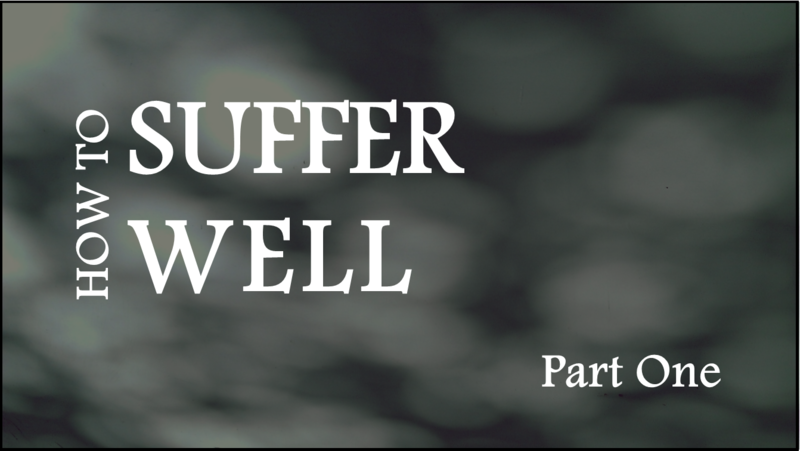 What should be our response to suffering? I’ll close with an illustration about a barber and his customer. A man went to a barbershop to have his haircut and his beard trimmed. As the barber began to work, they began to have a good conversation. They talked about so many things and various subjects. When they eventually touched on the subject of God, the barber said: "I don't believe that God exists." "Why do you say that?" asked the customer. "Well, you just have to go out in the street to realize that God doesn't exist. Tell me, if God exists, would there be so many sick people? Would there be abandoned children? If God existed, there would be neither suffering nor pain. I can't imagine a loving God who would allow all of these things." The customer thought for a moment, but didn't respond because he didn't want to start an argument. The barber finished his job and the customer left the shop. Just after he left the barbershop, he saw a man in the street with long, stringy, dirty hair and an untrimmed beard. He looked dirty and unkept. The customer turned back and entered the barber shop again and he said to the barber: "You know what? Barbers do not exist." "How can you say that?" asked the surprised barber. "I am here, and I am a barber. And I just worked on you!" "No!" the customer exclaimed. "Barbers don't exist because if they did, there would be no people with dirty long hair and untrimmed beards, like that man outside." God does not cause suffering, but He does allow it. And He certainly uses it for His purposes.